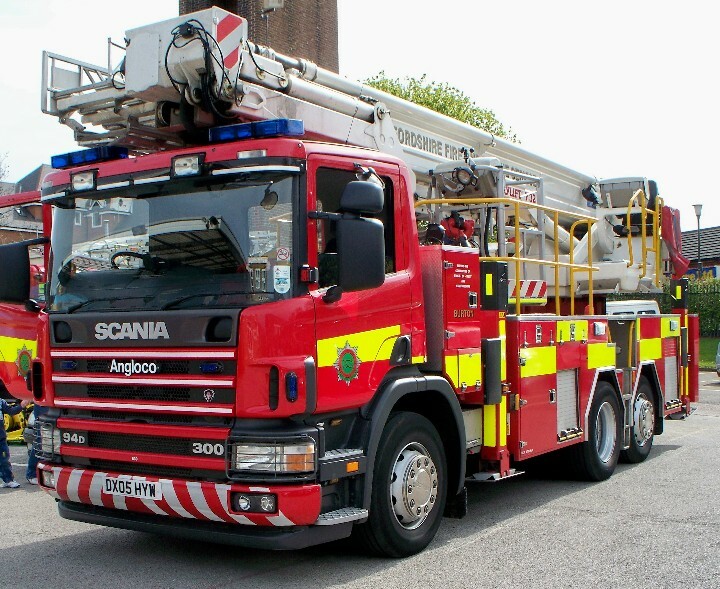 SCANIA P94DB/300/BRONTO F32RL/ANGLOCO, AERIAL LADDER PLATFORM stationed at Burton-upon-Trent. Call sign: Trent 6. Sister appliance (DX05 HYY) stationed at Longton (Longton 6) in Stoke-on-Trent.